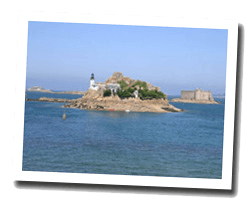 Saint-Pol-de-Léon is located at the entrance to Morlaix bay with a rocky coastline of 13 kilometres. At the seaside you can find sandy beaches and creeks . Paradise for fishing beach, its bay receives sailboats and windsurfers in summer. The island Sainte-Anne is accessible by a causeway. A hiking trail offers beautiful walks along the coast. 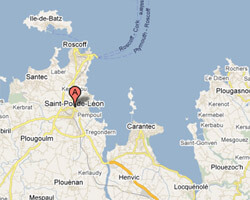 In Saint-Pol-de-Léon enjoy a seaview holiday rental. New villa, 3 rooms 80sq. m overlooking the sea. Garden 200sq. m, Terrace with outdoor furniture, deck chairs and barbecue. 2 Bedroom(s), 2 double bed(s).